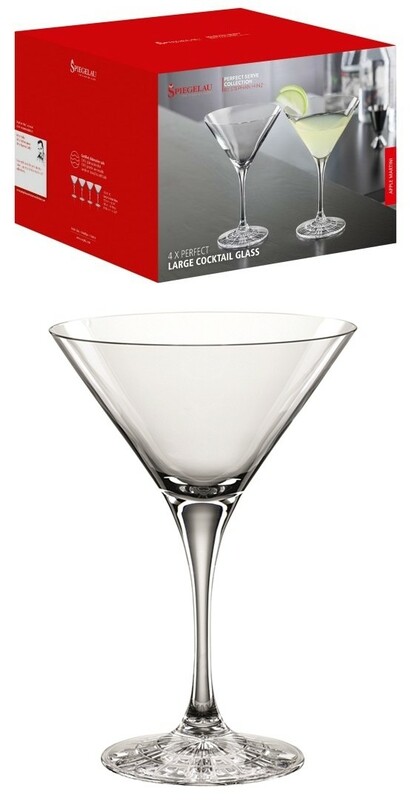 Spiegelau has created the perfect serve series of cocktail glasses for the modern bar. These glasses have a unique refraction and brilliance and are perfectly balanced in size and weight. Optimally designed for signature drinks such as negronis, martinis, whiskey sours ... the list goes on. Holds 6.6 fluid ounces. Dishwasher safe. Made in Germany. PLEASE NOTE: Sold as a set of four (4) and prices quoted below are per set.